The memos described worrying interactions he had with the president, including Trump allegedly requesting Comey's loyalty and asking the FBI director to "let go" of an investigation into former Trump National Security Adviser Michael Flynn. A separate court filing said Trump’s former campaign chairman, Paul Manafort, lied to the FBI and to the special counsel’s office on five different matters, violating a plea agreement with Mueller’s team. 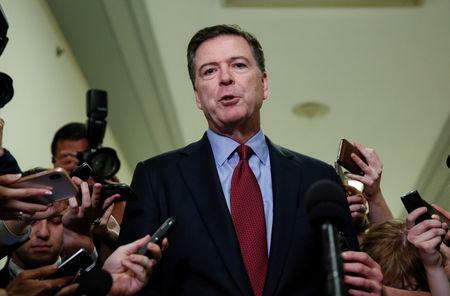 James Comey, the former FBI director called to testify before members of the House of Representatives on Friday, called the hearing a “desperate attempt to find anything that can be used to attack the institutions of justice investigating this president”. Trump later tweeted: “Comey was told by Department of Justice attorneys not to answer the most important questions. The GOP congressman Darrell Issa said Comey came with a justice department lawyer who repeatedly instructed the former FBI chief not to answer “a great many questions that are clearly items at the core of our investigation”. 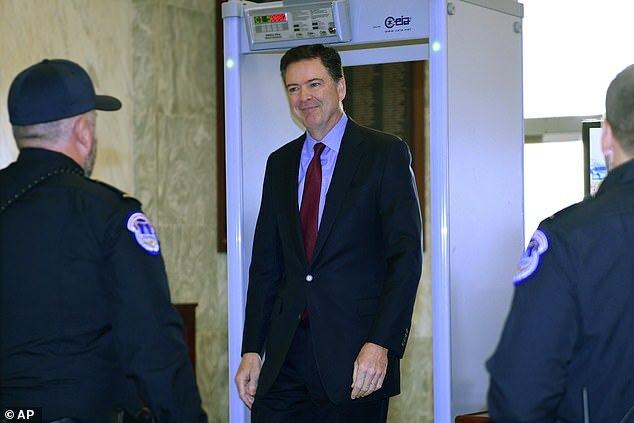 Other lawmakers argued the government attorney only stepped in a few times during the first two hours of the deposition and put reasonable limits on Comey's discussion of "sensitive information" that could impact the Mueller investigation. Comey’s attorneys previously argued that the interview should be done in public, citing concerns about selective leaks meant to hurt Mueller’s investigation. The FBI's alleged interference in Comey's deposition Friday guaranteed the clash between the outgoing Republican majority and the Justice Department. "One of the things that clearly is going to have to happen is the Department of Justice is going to have to agree to allow him to come back and answer a great many questions he is currently not answering," Rep. Issa said before Comey had agreed to come back. 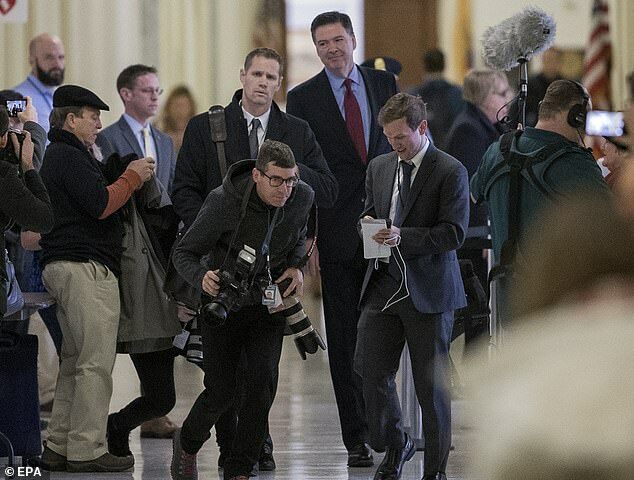 WASHINGTON (Sinclair Broadcast Group) — Former director of the Federal Bureau of Investigation James Comey arrived on Capitol Hill Friday morning to answer questions on his role in the origins of the Russia investigation and he is expected to return for a follow-up hearing in two weeks.